Looking for a unique experience? Why not come and create your own art piece that you’ll be proud to hang on your wall! Cedar Hills Community Services, in conjunction with Debbie’s Art Academy, offers painting nights for adults and kids. Each person paints on a stretched canvas with acrylic paints. Find out more and sign up at DebbiesArtAcademy.com. Cost varies. 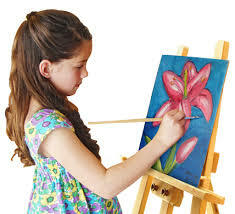 The painting classes are held in the Cedar Hills Community Center, 10640 N Clubhouse Drive.